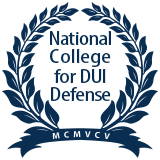 For an aggressive yet affordable DWI/DUI or Criminal Defense, contact me, Nicky Boatwright. When you, your child or a friend needs an solid defense for DWI, DUI or other criminal charges, call Nicky Boatwright at 806.747.8002, toll free at 888.697.2919 or contact me online. I am here to help you. With more than 15 years' experience, I can answer your questions and put your mind at ease. You deserve a strong fight for your rights. Contact us today for your free initial consultation. I am on call 24 hours a day. How can I get my family member or friend the help they need? Even if this is his or her first offense, take the charge seriously. Find an experienced DWI and DUI attorney in the local area who is familiar with the local courts and prosecution. Copyright © 2019 Nicky Boatwright, P.C.